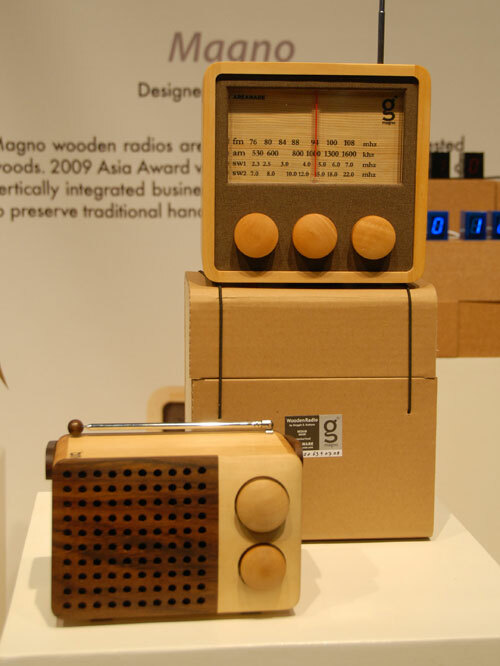 [CES 2009] Magno Sustainable Wooden Radio | OhGizmo! Gadzooks! It’s something not made out of brushed metal or piano black plastic! The Magno radio hails from Indonesia, where it’s made from sustainably harvested hardwoods by pretty much an entire village of native Indonesians. Designed by Singgih Kartono, the big version costs $250 and the smaller one is $200. Seems like a lot to pay for something that grows on trees, but you can feel warm and fuzzy and green inside and that’ll make up for the additional cost. …Right?